There's less room on a bus than a tram. And street stops - with other traffic, pedestrians and buildings all competing for space - can be harder to adapt than platforms. 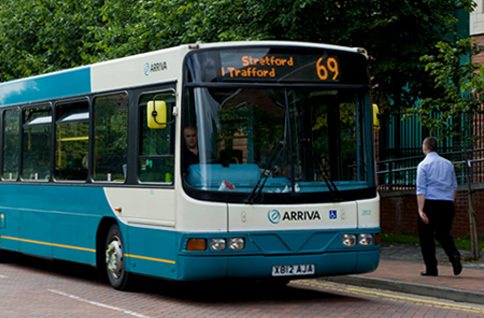 Arriva aim to make all its buses fully accessible with ramps by 1 January 2017. Many of their buses already have ramps and can take wheelchairs. Their low-floor buses have a flat step-free entrances. New buses have audio-visual ‘next stop’ announcements and display screens, and route numbers and destination displays meet accessible standards of size and legibility. 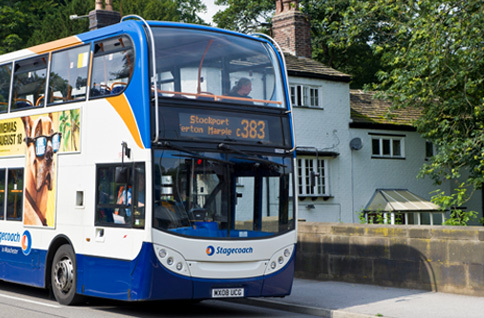 Stagecoach is introducing hundreds of low-floor buses every year to make it easier for people who use wheelchairs, mobility scooters, and those with small children and pushchairs. They try to run low-floor buses on all journeys, but may occasionally need to use a non-low-floor bus. Stagecoach has signed the Confederation of Passenger Transport Mobility Scooter Code - which says how buses can be made accessible to people who use mobility scooters - and the Royal National Institute of Blind People’s (RNIB) charter which says how companies can help blind and partially sighted people use their buses more easily and safely. Virtually all First buses have a dedicated area for people who use wheelchairs. Many are low-floor buses with steps that can be lowered or ramps. First Bus has signed the Confederation of Passenger Transport Mobility Scooter Code. Special passenger journey cards let you tell the driver if you need extra help - like more time to reach your seat or louder announcements if you have a hearing impairment. 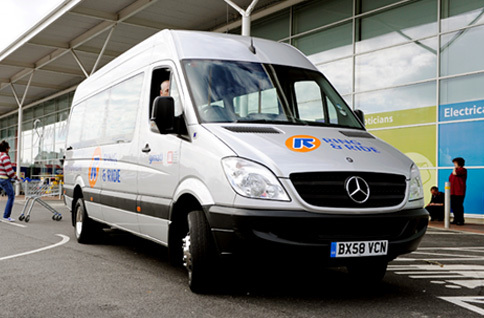 If it's hard to use public transport because you're disabled, or you're over 70, use Ring & Ride for free low-cost journeys in an accessible minibus with low entrance steps and tail-lifts. You can travel for up to six miles from your home, as long as the journey is within Greater Manchester. You must qualify with a TfGM concessionary pass or use travel vouchers. 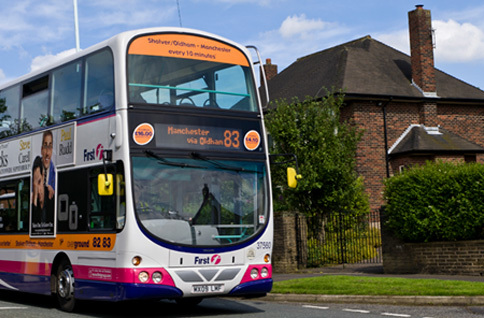 Over 40 bus and coach companies operate in Greater Manchester. Many are making similar steps to more accessible travel. Visit the individual bus operators websites to view their accessibility policies.